Though wintry snow covers the ground here at DePauw University, the staff of the admissions office is already thinking about the fall. Specifically, they are looking forward to welcoming the Class of 2019 once the 2015-2016 school year rolls around. Until then, they are doing everything they can to draw in those students who will comprise that group. For many students, it is a visit to campus that will help them choose to apply to a university. For others, the visit is the thing that solidifies the final choice to attend a university once they have been accepted. Becca Conley, a sophomore Admissions Ambassador, said that students tour and do overnight visits to see if they would be able fit into the DePauw atmosphere. On a visit to DePauw, most students go on a campus tour and see the academic, athletic and arts buildings they would frequent over their four years here. A stop in a first-year residence hall is also typically on the schedule. If students wish to do so, they may make an appointment with a coach, professor or program director to get specific information about an aspect of DePauw that interests them. Some students also have interviews with admissions staff, university faculty or auditions for the School of Music on their visit agenda. CJ Cazee, an Admissions Ambassador and junior, has been involved with the prospective student experience since his freshman year. 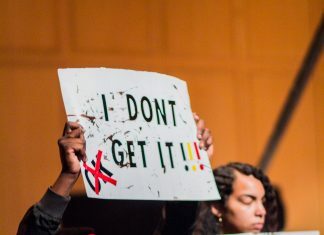 He has noticed that students are now coming to campus knowing what they want to gain from a potential university and what they are interested in. "It has become much more personal when a student visits DePauw,” Cazee said. They now include panels with DePauw students, lunches with professors, administrators and students and discussions unique to the questions students and parents would each like to ask of a prospective university. Nick Hebebrand, a DePauw senior and Admissions Ambassador, says that he is excited that more students are taking the opportunity to visit campus than in years past. He also likes the new design of larger visit days. “They allow prospective students and their families to get a better glimpse of life at DePauw,” Hebebrand said. The admissions staff are not the only one who have to put forth an effort to draw in the Class of 2019. 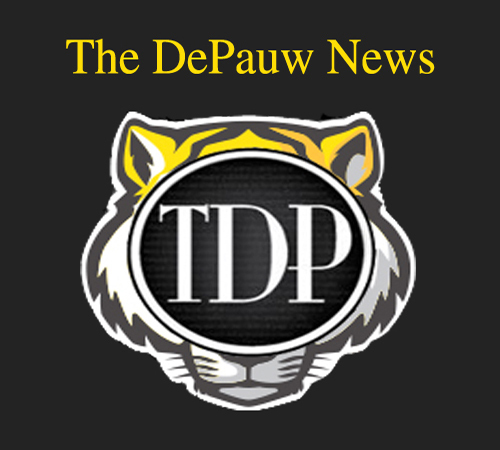 The students who wish to attend DePauw must also work to complete their application for review by the staff. Though the total applications are down from last year, “completed applications are higher than any of the previous three years,” according to Cindy Babington, vice president for admission and financial aid. A completed application is not solely comprised of just an application. It also includes test scores from exams such as the ACT or SAT, recommendations from teachers, administrators, coaches or community members and a student’s record from their secondary school. Once the admission process is completed and the students have received their decisions, the next step in welcoming the Class of 2019 falls on the students. Students who wish to attend must place a deposit to indicate their intention. Babington states that more students have accepted their offer of admission this year than had done so by this time last year. The admissions process is an ongoing one. Students will continue to visit and make their decisions throughout the semester. When August comes, it will bring a whole new streak of great DePauw Tigers.